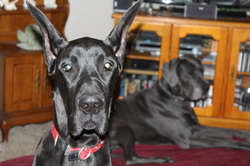 "Premier's Fair and Full of Grace" AKA "Grace"
Meet Valinor's Premier Black Diamond, AKA "Zack". DOB 4/5/15. He will be shown and eventually become our stud. He is a silly, adventurous boy who is truly a blessing to our family. 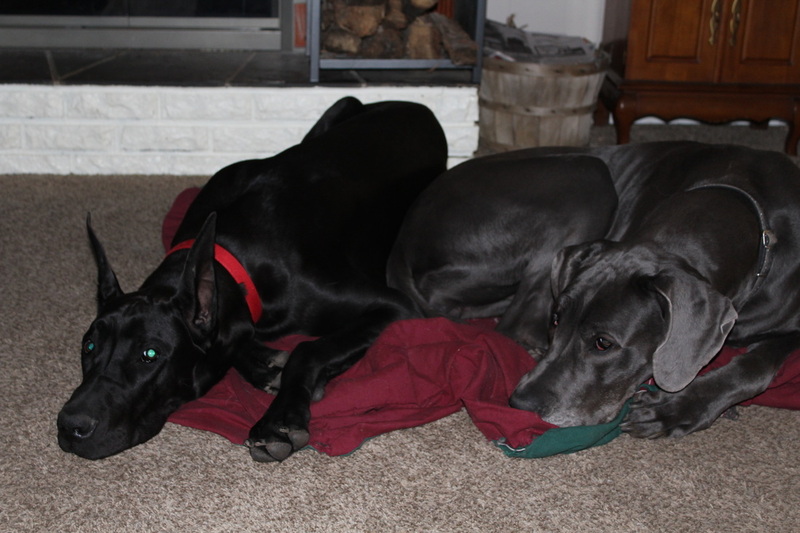 Shelterwood's Fair Gypsy Rose has been retired and will spend her days overseeing future litters as "Grandma Gypsy". She will reign Queen of the household and be our Matriarch Dane. She produced 22 beautiful babies in 2 litters and was a fabulous Mom! 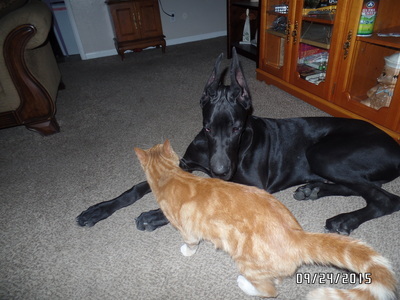 We are a small family owned breeder located in Sierra Vista AZ. 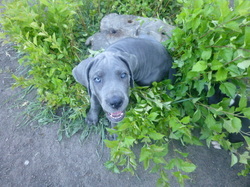 Premier Danes is committed to producing the best Great Dane puppies possible. 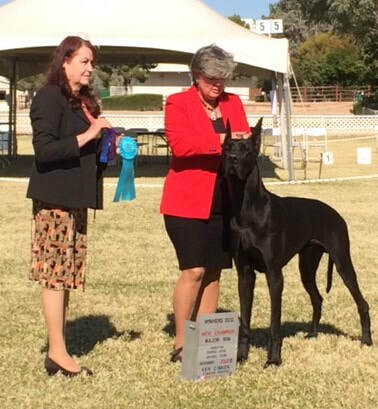 With conformation, health and temperament the highest of priorities, Premier Danes strives to be the best small breeder in the Southwest. Our puppies are raised inside our home with other dogs, cats and kids for early socialization. Our dogs will never be in outdoor kennels, to be ignored and used for breeding purposes only. 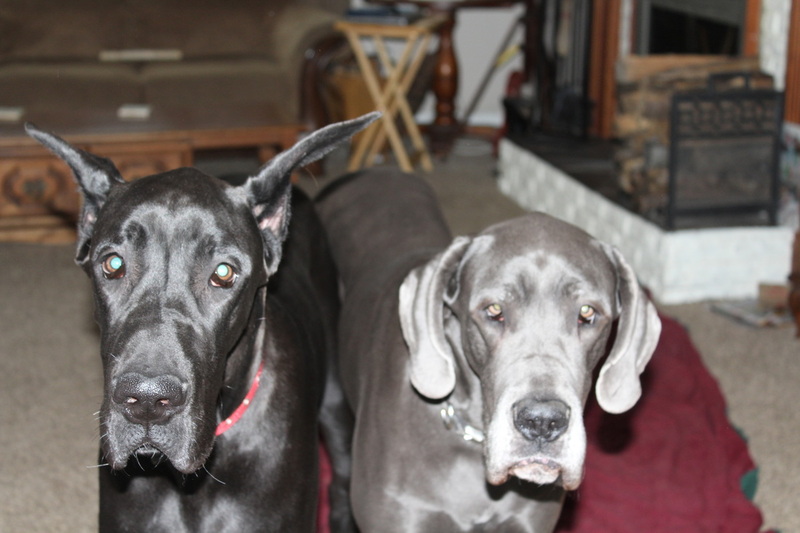 They are part of our family and as such when you purchase a puppy from us, you become part of our family.